Hey everyone! 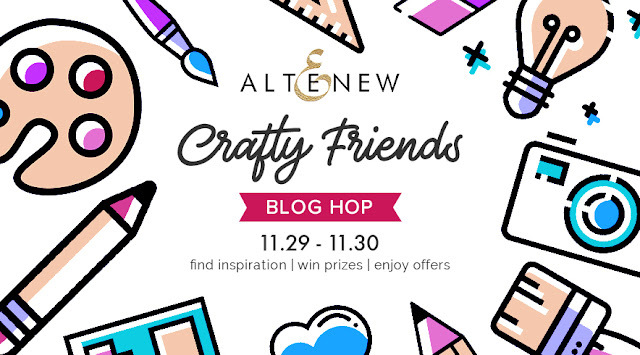 We are so excited to be apart of Altenew's Crafty Friends Blog Hop this year! Keep reading along for chances to hop along and win some awesome prizes! If you're hopping along, you came from Keeway Tsao. To get more information head to Altenew's Card Blog. Today, I made a super cute card using Altenew's Layered Floral Elements Dies and some colored cardstock. I also used glossy accents for the berries and the centers of the flowers to add some dimension! 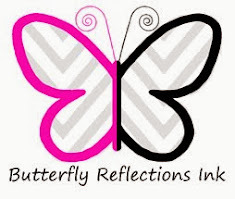 Head on over to Virginia Lu's blog to continue on the blog hop! I like the partial white stencil background. It really adds to the card. Beautiful! Thank you! What a gorgeous card with all of its brightly colored flowers! Really pretty - love the subtle background and the glossy accent berries and flower centers. Yay.. no stamping cards.. yet another reason why Altenew rocks! They have not only the most beautiful layering stamps but amazing dies too.. Stunning card. Love it! Bright and cheerful! Seem to be needing more of that lately! This is such a beautiful card! Love it. This is gorgeous! The glossy accents totally takes it up a notch! Beautifully done! Beautiful! I love those stacked dies! super card and awesome design!! I love these diecut flowers, so pretty on your gorgeous card! 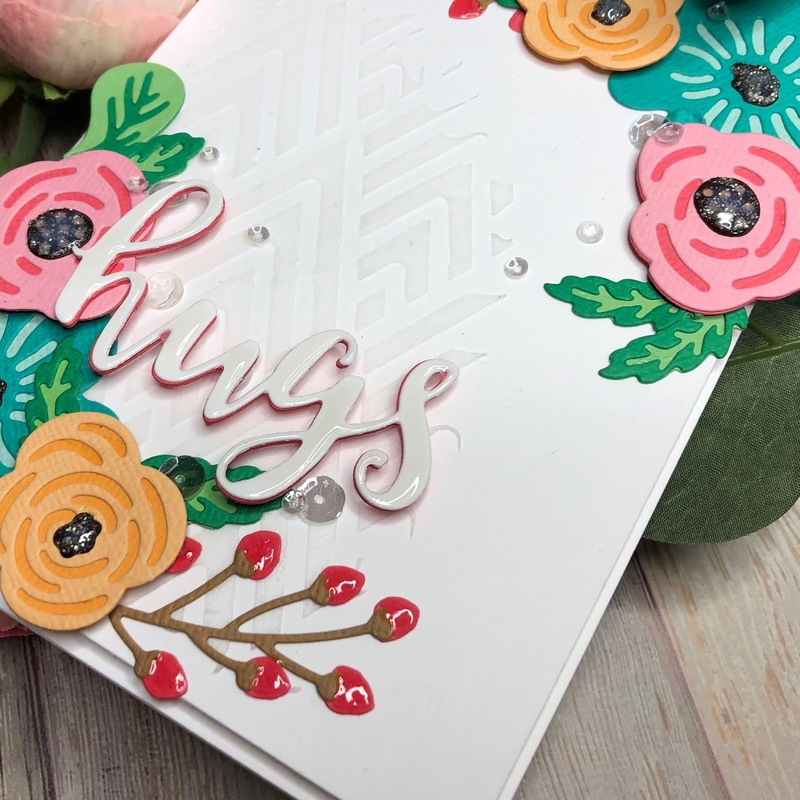 Some of the things I love about Altenew are the floral die cuts and this card is a stunning example of what can be created from them. Thanks for sharing and for the inspiration always! Your card is darling. Love the use of the stencil. Very pretty card! Those layered flowers are really nice. I might have to get some. Such a pretty card! It makes me all smiley! Gorgeous card! I love the colors you used, and the layers are so pretty! Love how you had the die cuts extend outside the layer. Pretty! Oh my...your card is stunning! I wasn't quite sure about that die set, but seeing how you used it, guess it's time to go shopping! Such a bright card on a winter's day. Love the card - like the glossy finish to the "hugs". I love all of the different colors and textures on your card. This card is so much prettier than anything you could buy in a retail store! TFS! The glossy accents are awesome, love it! Your idea to make a card mostly with die cuts is brilliant. It turned out beautifully. Pretty card. I like your colors and balance. I like the tone on tone of the stencil background a lot. Love the colors you chose, great cards! Great use of these two-toned die cuts! Lovely color and texture for a happy card! I love the tone on tone and then the pop of color in the flowers - so pretty! Such an adorable card!!! Love it. Thanks for the chance to win. What a beautiful subtle background. I love the flowers hanging off the edges too. I just bought the flower dies and LOVE what you did with them!! This card is STUNNING!! thank you for the hop, and wonderful project great job. Great card - love the colors! I just love the way you did the flowers! The little glossy accents are perfect! Lovely card with the bright flowers and the beautiful background. 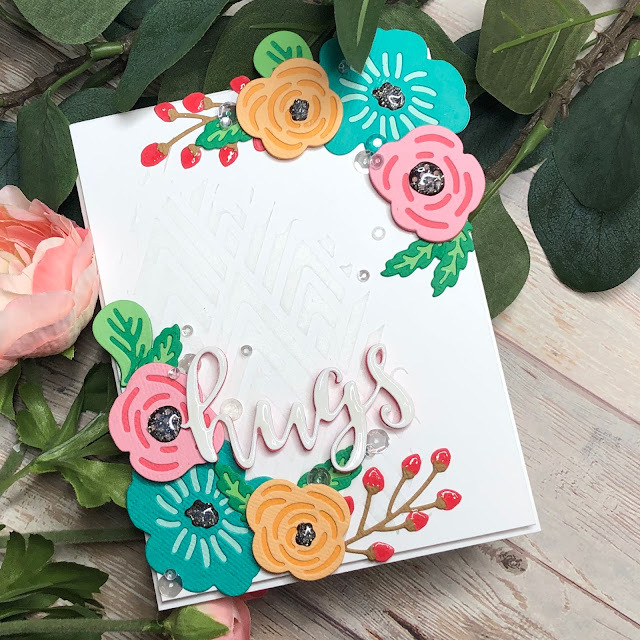 Lovely layering of the flower die cuts! Beautiful card! Love your layered flowers! Pretty design and choice of colors. How could you possibly have time to run your store and make cards 🥰 so pretty ! Very pretty and unique card. Thank you for sharing with us. Gorgeous card and love the colors and flowers. Very pretty card, love using dies cuts as a focal image! Great design using these pretty flower die cuts! The layering and background make a beautiful card. Thank you for the ideas. Wowzers!! What a gorgeous card .Love it ! So pretty...love how you used the die cuts. So pretty! love the gorgeous flowers and also the subtle texture in the background. Love the subtle texture paste you used in the background and all that glossy!! Beautiful card!! I really liked the balance of the card. The embossed stencil is a technique I had forgotten but will be using in the future!Thank you for sharing your techniques with us! Oh, how pretty! Thanks for inspiring example! Very pretty, love the layout, colors and the simple joy it would bring to the recipient!! Very pretty card. I love the textured background and the colored flowers. I like the glossy accents adding a little sparkle. This IS a super cute card Kelli with all of the texture and the beautiful images, love it. Very well done. Beautiful! I love the dimension and texture with the stencil. The bright colors of your card are so cheerful. The layering of the flowers really add to the effect. Love the card! I really like that subtle background! Is it a stencil or an embossed image? The shine is beautiful on your die cuts, so pretty. The flowers are bright and cheerful. Thank you for this post! I'm new to card making and seeing beautiful cards like yours give me some wonderful inspiration. I love florals and the colors you use are spectacular! So pretty! Love the subtle stenciling and the color combinations for your flowers! Great card! I love the subtle background. Wow! This is beautiful! I love the texture and dimension that you have added to this! It looks amazing! A lovely fresh card with lovely colours and layers. Love that hint of texture in the background with the tone on tone stenciling! Gorgeous card! I love the texture and dimension you added! Very cheery card. LOVE IT!!! How sweet is that card?? Those flowers are just so happy. TFS! 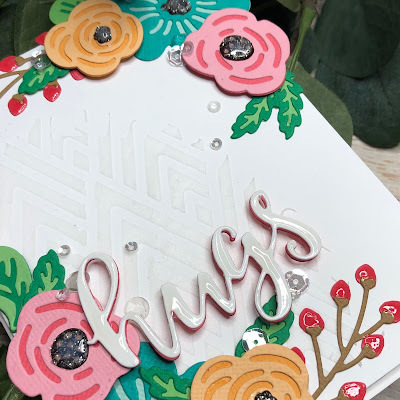 Love your card and I am in love with the layered floral dies as well. Love how you used the glossy accents too! I love how those flower dies look! If I had a die cutting machine, these would definitely be part of my stash! Lovely card, love this color combo and what a great way to use some beautiful colored cardstock! Great layout and florals! Love the dimensional sentiment. Great dimension and interest on this pretty card. lovely colors plus wonderful design=fantastic card!! The vibrant flower colors look so pretty and I love the subtle design in the background. Lovely card! Great card! Love the subtle stenciling on the background and the pretty pops of color with the flowers and the berries. Enjoying the Crafty Friends blog hop! So many fabulous creations! Love these beautiful die cut flowers! Awesome colors! Beautiful! Layered dies and glossy accents are two of my favorite things! Your cards are beautiful! LOVE the bright colors. Also love that everything is die cut--such a nice change of pace every now and again. TFS--have a very blessed weekend. This is an absolutely prett xard snd design. Colour, die cuts and glossy accents - Love it! Just bought this set in the bundle! Love what you did with it! Great job! Beautiful job! The flowers really pop against the white and look really bright and cheery. Nice use of the flowers in this design. Lovely, lovely floral arrangement. Everything's perfect...the colors, the background. Thanks for sharing. Beautiful card with many interesting elements. Loving all the dimension on this cute card! Lots of bright cherry colors and great textures. Thank you for sharing! Beautiful, the colours you used are simply fantastic - LOVE! Great background and overall layout - thanks so much for sharing and inspiring, and being one of the generous sponsors! Very pretty card--love all the colors and textures you've used! Thanks for sharing. So pretty! I especially like the look of the buds! Thanks for sponsoring this fun hop! I love the layers. Beautiful. Simply georgeous. Merry Christmas! I can hardly wait to see what is next. Such a gorgeous, bright, dimensional card! This is guaranteed to brighten anyone's day. 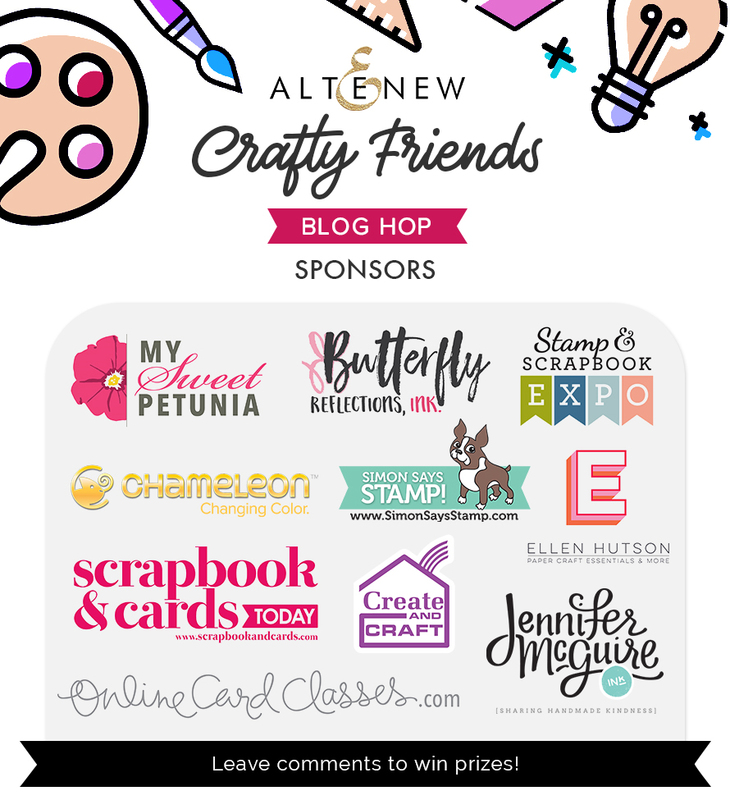 Thanks for sharing and being one of the sponsors of this fun bloghop! Such a pretty card! I love the bright colors and the added dimension of the crystal drops. A gorgeous card, great lay out and realy a stunning example of what you can do with the awesome dies from Altenew. Thank you so much for sharing. the textured background adds so much to those lovely colorful flowers on your card! The card is awesome!! Love the glossy accents!! Cute card. Love the berries! Very lovely card. Thank you for sharing. Beautiful card with a pretty mix of colors! Great card! Love the subtle background in the white space. Love the way you chose to use the colored cardstock and layering the dies. I have been cutting them out & coloring with watercolor or markers or inks! Such a fun and cheerful card, loved the flower dies. Beautiful card! How fun, thanks for the giveaway! Beautiful card, love the subtle details. Absolutely Gorgeous card! Thanks for the inspiration. Love this cute card! I love the funky floral die cuts! Your card is indeed cute! Quite adorable, I'd say! Very nice use of the dies and colors. Thanks for sharing! Pretty layout with these fun florals. Thanks for sharing this inspiration with these products.